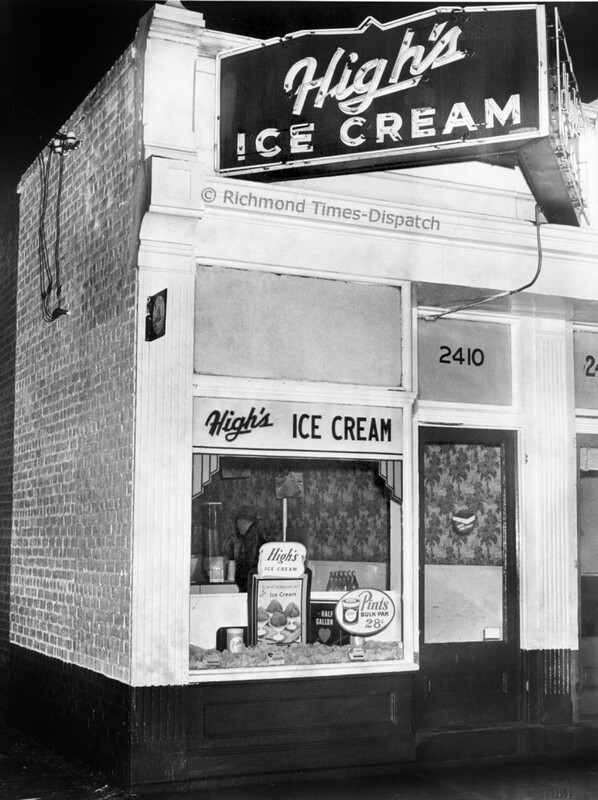 A neat photo from the RTD archives of the High’s Ice Cream store at 2410 East Broad Street. This is the first photo that I’ve ever seen of any of the storefronts that used to be across from St.John’s. Anybody else have more? So this High’s once stood on what is now Patrick Henry Park? It’s kind of a shame these buildings were lost for a rarely used park. It would be nice to have a few more retail storefronts left in the neighborhood. Weren’t they lost due to structural instability caused by the train tunnel and its occasional collapses? I always heard that those buildings were torn down due to a deteriorated portion of the church hill train tunnel below. The park was established to at least provide some use for the land but it was deemed unsafe for any other use. Not sure if any of this is true…just recounting a story I’ve heard a few times about that space. john_m, from what year is that map? Do you know if there are any remnants of the central lunatic asylum still extant? That map is from 1883.
thanks. google maps cleared it up. looks like it used to be around N20th and T st, which is all residential now. This block is the subject of my upcoming April CHA Newsletter article. If anyone have leads to other shots of the block prior to it being demolished in 1961 please let me know. I grew up on Churchill between 26th and 25th of “Q” street and was lovely nieborhood with soulfull people.